Cobham and Alliance to be acquired by Carlyle? US private equity fund the Carlyle Group has reportedly moved to acquire Alliance Airlines and Airwork parent company Contract Aviation Industries and is also interested in acquiring Cobham Aviation Services Australia (formerly National Jet Systems). According to a report in The Australian newspaper, Carlyle has made a $350 million bid for CAI, which was formed earlier this year through the merger of Alliance and Airwork ahead of a planned listing on the ASX. The listing was put on the backburner after Carlyle approached the company over a possible buyout. There has been no confirmation yet of whether the takeover offer has been accepted by the shareholders of CAI. 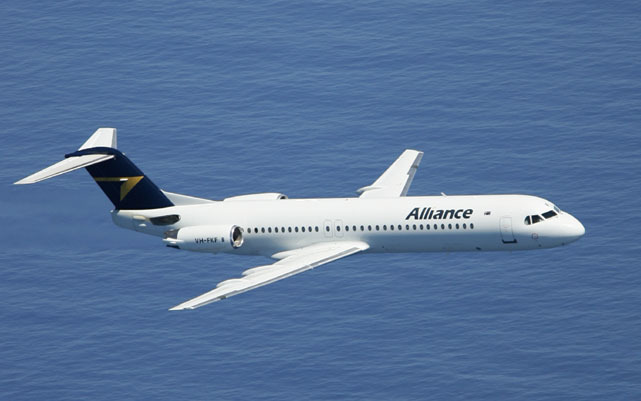 Meanwhile, the Australian Financial Review reports that Carlyle has started due diligence on a possible acquisition of Cobham’s Australian operations, which currently operates Boeing 717s on behalf of Qantas, BAe 146s for Australian air Express and a series of resource charters. It also provides Coastwatch services on behalf of Australian Customs under a 12 year contract with a fleet of modified Dash 8 Q300s.